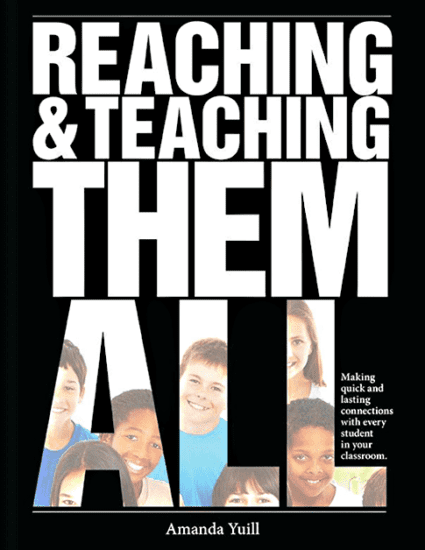 While the publishers suggest that this book has strategies for every grade, it is most useful for teachers working with students from Kindergarten to Grade 8. The publishers also suggest that the book is valuable for both new and experienced teachers, but because Amanada Yuill models professional reflection, this book is especially well-suited for teachers in the early stages of their careers. Yuill’s suggestions are diverse. She offers ideas for how to begin the school year, manage conflict, and maintain boundaries with students. She provides tips for connecting with students who are new to the country and tips for connecting with students with behavioural challenges. She suggests how teachers can support students who are experiencing sickness, death, poverty, or abuse at home. She offers advice for how teachers can work with the range of students in our classroom who experience ADHD, anxiety, autism, and various common forms of mental illness. Underlying the practical suggestions in this book is Yuill’s belief that students should be involved in classroom decisions as much as possible, and that teachers have a responsibility to teach students the behavioural skills that they lack in order for them to be successful. Put another way, Yuill understands that students need a teacher to help them figure out what they could do differently, and this is most effectively done when students feel connected to their teacher. Yuill’s classroom-savvy ideas will help teachers make that valuable connection.